Every video production isn’t the same but we have systems that help ensure that our final product is consistent. 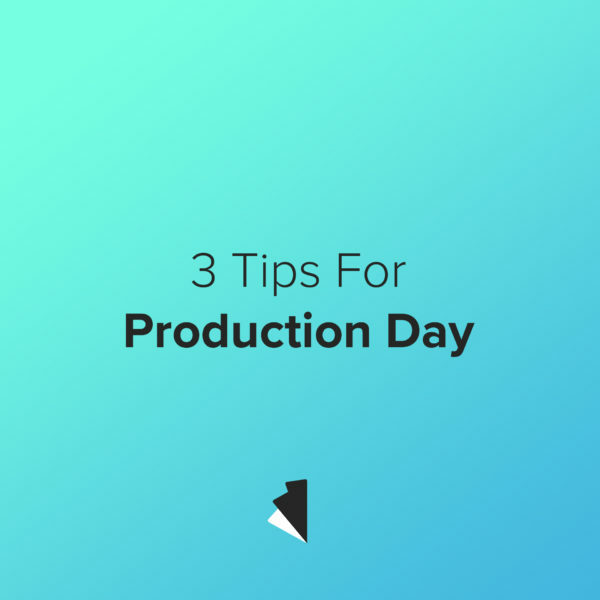 We recently did a shoot for a Kickstarter campaign and just like with any other shoot-day we followed a few guidelines to make sure that it went off without a hitch. A really successful production day starts the day before. Every shoot needs two things at the bare minimum: power and memory. So charge your batteries and format your memory cards and hard drives. You might forget a light, tripod or extra lens but you can still always walk away with footage as long as you have batteries and memory for your camera(s). Get those ready the night before to avoid unhappy customers. Did you recently buy any new gear? If so, don’t leave the office without testing it! More and more devices these days require or are made infinitely more useful with an accompanying app (I’m looking at you, DJI Osmo). Testing new gear the night before will ensure that you don’t hit any speed bumps trying to frantically download an app with no cell service. It’s also good to look up directions the night before. No one likes to wait around and just having an idea of how long it will take to get to your shoot location will help you be on time. Not all shoots require a full-fledged storyboard, but imagining a few shots at each location can help things go more smoothly. For example, if you’re shooting at an ice cream shop, like we just did, dream up a few inventive ways to show ice cream production. Who doesn’t want to daydream about ice cream? Attitude is everything. On some shoots that means getting your coffee fix, but more often than not it just means saying yes when the ice cream shop offers you a free sample. How you handle adversity (like free ice cream) will come to define a company’s image.